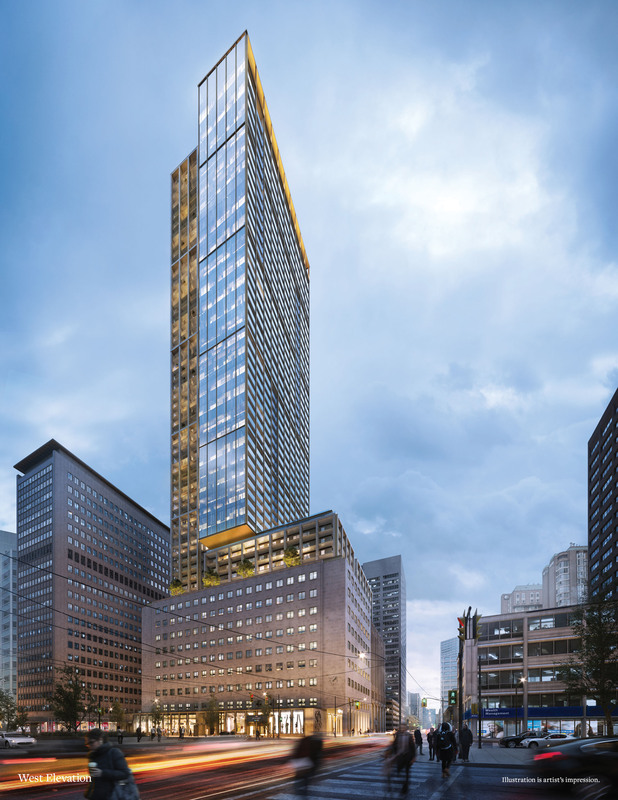 Davpart wants to build a 55-storey, mixed-use tower in Toronto. 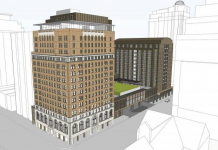 The company unveiled plans for the mixed-use tower development, which will be built on a historic site at the intersection of University and Dundas streets. 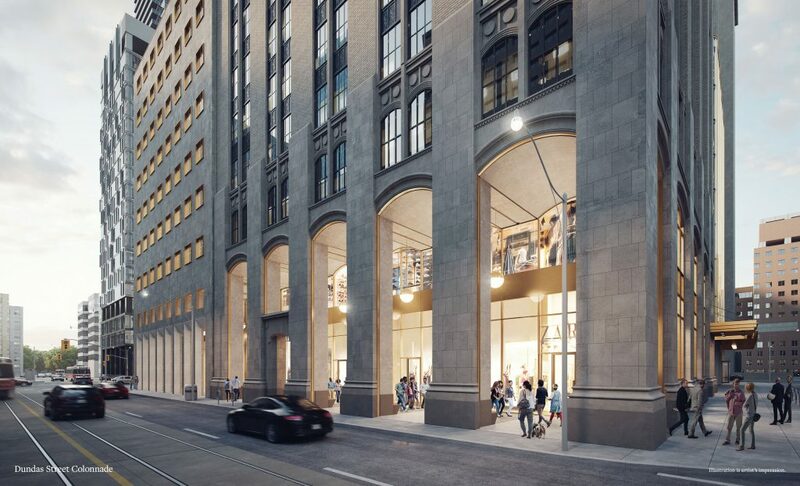 Called The United Building, the 577,818-sq.-ft. structure will offer 748 condo units, including studio, one-bedroom, two-bedroom and three-bedroom designs. 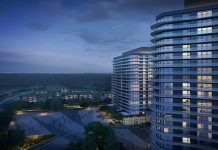 The residential portion, from the ground floor to the 10th floor, will offer 224,245-sq. ft of office space and 39,320 sq. ft. of retail space. B+H Architects is the project’s architect, while ERA Architects is serving as the heritage consultant.